Makita 18V LXT Lithium-Ion batteries charge faster and work longer than standard lithium-ion batteries, giving you and your Makita cordless tools unmatched performance and productivity for demanding applications. The Makita 3.0Ah battery BL1830 has a category-leading charge time of only 22 minutes with a DC18RC Makita Charger, so it spends more time working and less time sitting on the charger. It also features an L.E.D. charge level indicator to monitor battery charge. Makita is the innovation leader in cordless tool technology and has the world’s cordless tool line-up powered by 18V lithium-ion slide-style batteries. The BL1830B is compatible only with Star Protection tools, indicated by the Star Symbol and/or Yellow Battery Receiver under the tool. 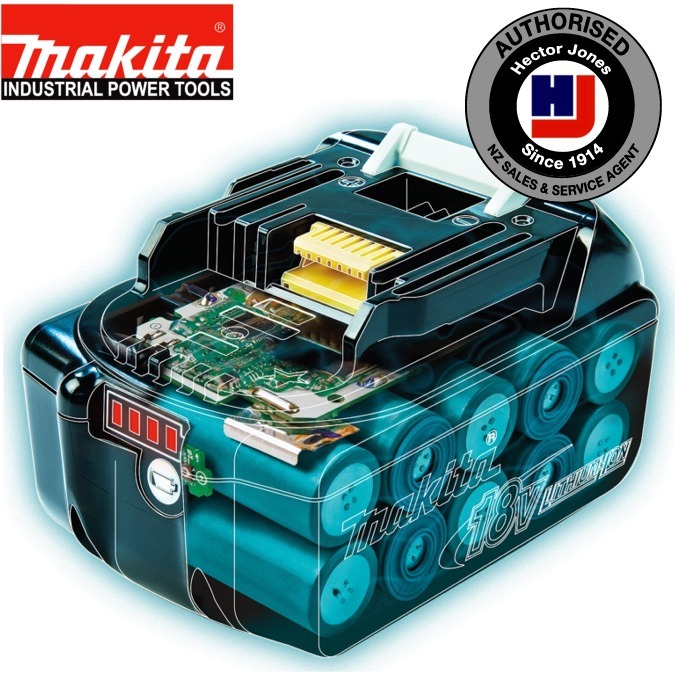 By using a non-genuine Makita fake or copied battery that may have been altered in anyway can cause faults between the battery and charger as well as between the battery and the tool.